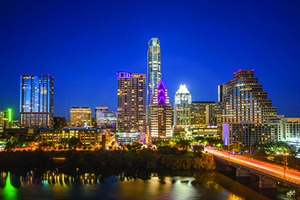 With an estimated population of more than 1,020,000 as of 2010, Travis County is one of the most populous cities in Texas. Its county seat is Austin, Texas’ capital city. The county traces its rich history to William Barret Travis, a prolific commander for Texas forces during the Battle of the Alamo. For years, our family law practice here at the Lyttle Law Firm has included assisting Travis County residents with their family law matters. We know that even under the best circumstances, cases involving family law are rarely smooth or easy to resolve. Emotions can run high, and if you go about your family law case without legal assistance, the outcome can easily do irreparable damage to your finances. Divorce and divorce strategy consult – The Lyttle Law Firm assists couples by developing strategies aimed at a smooth separation from their spouses. We will help you map out a plan where you are in control of your case, including your case expenses. We offer top-notch legal strategy sessions to assist you with finalization of your case, our assistance includes negotiations and preparation for mediation, which provides you an opportunity, where possible, to settle your divorce without litigation. Annulment – There are certain cases where we recommend that our clients in Travis County opt for an annulment instead, voiding any record of their marriage. There are many reasons why for some people, this is a preferred way to end a relationship. Child custody and relocation – Child custody can be one of the most contentious issues in a divorce. Courts will always rule in favor of the child’s best interests, but a lawyer can help establish why you deserve to have legal guardianship of your child’s care and education among others. Our firm has a lot of experience with custody matters, including custody matters involving children under the age of five. Young children can sometimes present a challenge when it comes to custody arrangements and we have the experience to draft custom agreements and schedules that will fit your family’s needs. Division of property – In Texas, conjugal property is treated as community property, which means that any assets and income acquired by either spouse during the marriage are equally owned. In a divorce, these assets are divided equally, unless a reason can be found justifying a different split. We help client’s assess their particular situation and advice you when a fault ground may be warranted for an uneven distribution of marital assets. Paternity rights – To seek paternity rights in Texas, biological fathers must first sign an acknowledgment form or have their signature on the child’s birth certificate upon birth. Otherwise, there may no choice but to seek paternity action. The Lyttle Law Firm can represent fathers in a lawsuit to adjudicate parentage, proving that they are the father of a child. We have years of experience helping fathers establish their parental rights and help with visitation issues and long distance visitations too. Family law matters can have sweeping consequences on your relationships with your spouse and children. It can also have a negative effect on your finances and assets, affecting your quality of life in ways that are hard to recover from. You can improve the likelihood of obtaining a favorable result by enlisting the help of an experienced family law attorney. Contact the legal team of the Lyttle Law Firm for family law representation in Travis County, as well as Hays, Bastrop, Caldwell, and Williamson Counties. Call our offices today at (512) 215-5225, or use our contact form to schedule an appointment. You’ve Just Been Served a Family Lawsuit. Now What? "Before finding you, I had contracted three different lawyers. You were able to quickly resolve and settle a case that I thought was impossible for settle. Because of your expertise and your professionalism, I was able to save thousands of dollars that I can now dedicate to my family. You were sharp, creative, and a strong advocate for me and my family in the Courtroom and in negotiations with the opposing side. Thank you so much for the work that you do!" T.F. "Daniella, you helped me during the darkest and most difficult time in my life. You were always honest, gave me realistic expectations, and you were prepared for anything in the Courtroom and out of the Courtroom. I will be forever grateful for what you did for me and my children. Because of you, I feel that I got a settlement that will put me on the right path for this next chapter of my life as a divorced parent. Thank you and your wonderful team! you all are great!" A.R. "Ms. Lyttle's name was given to me by a mutual friend who described Ms. Lyttle as an intelligent lawyer with an athlete's competitive spirit. Ms. Lyttle was a wonderful representative of calm preparedness during what became a lengthy and tenacious divorce litigation. I appreciated her knowledge, her calmness despite the fact that I was very anxuous, and her polite and respectful attitude in the courtroom, and outside of it. Ms. Lyttle helped me to stay focused on the larger picture, and her experience and advice came to me at a time when I was desperate and depended on her. I am glad to report I placed my trust in someone who actually delivered." R.E. "I have known Ms. Lyttle for more than two years. She has represented me in my divorce and then in my modification/enforcement case in the most proffessional manner. Ms. Lyttle's ethics are of the highest standards. Her friendship , courtesy ,knowledge and honesty have become very important to me during the last two years as she represented me in my family law case. I have recommended Ms. Lyttle to a many friends facing family law matters and I know I can count on Ms. Lyttle should I need her again in the future." A.W.